Smelting is another useful task in the Minecraft. 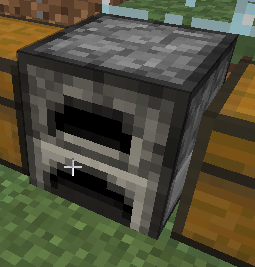 A player is able to place a Furnace on the ground and utilize it to smelt ores and other objects. Right clicking the Furnace will bring up a menu where the player can put a fuel source (a list below shows the different types and time it will be a source) and the object the player would like to be smelt above the fuel source.